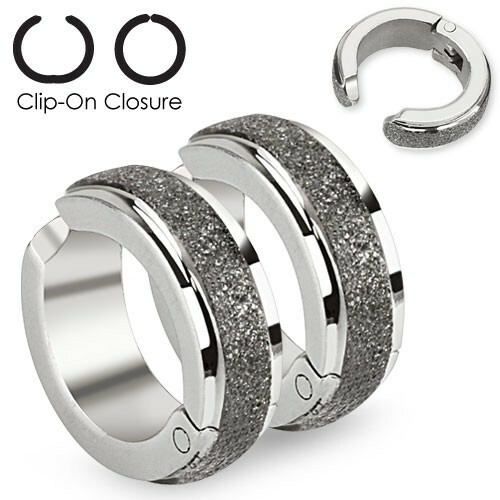 These clip on ear rings imitate a real piercing without the need to actually get pierced. These rings carry a line of brushed steel. The rings are each 4.5 mm wide and 14 mm high.